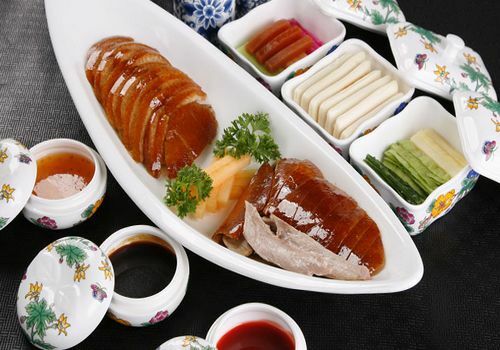 While strolling down the streets of Beijing, you will find many Peking roast duck restaurants. Which one is the best place to savor this mouth-watering delicacy? Here, China.org.cn has picked the top 10 most popular Peking duck restaurants in Beijing. Opened in 1902, Liqun Roast Duck Restaurant is a small courtyard eatery hidden deep in an old Beijing hutong. The restaurant is named after its owner, Zhang Liqun, a former chef at the Quanjude roast duck restaurant chain. This family-run restaurant is somewhat run-down but deserves a visit for its aromatic classic roast duck that is roasted to perfection. It also has more than 30 duck dishes, as well as the old courtyard experience. Liqun is well-known among locals and frequented by foreigners. It attracts customers mainly through the word of mouth instead of through advertisements. Reservations are recommended to avoid a long wait time.